When we first wrote this article a few years ago, the horror games genre wasn’t great. There were a few good ones. However, the quality deteriorated quickly after that. The last couple of years have seen a revival of horror games on Android. The arrival of VR also helped peak interest in the horror genre. There are now better games in the horror genre. Here are the best horror games for Android! Keep the tension up with these Android games! Another World is a port of an older game from the early 1990’s. You play the role of a scientist who ends up in another world. There, you’ll be chased by a wolf monster while you solve puzzles and try to find a way home. The game isn’t horror on its own, but the atmosphere and tension can be pretty scary. It also doesn’t help that this game will trap you if you don’t solve the puzzles properly. It’s a no holds barred kind of game. You can pick it up for $3.99 with no in-app purchases. It’s definitely one of the more underrated horror games. Dead Effect 2 is a creepy sci-fi shooter. You play the role of one of three characters. Your goal is to level up, find new weapons, and defeat the bad guys. It features tons of alien bad guys, lots of dark corridors, and a 20-hour campaign mode to play through. The graphics are pretty good on their own. However, they do get a boost if you’re using an Nvidia Shield device. It’s not typically what you’d think of when it comes to horror games. However, it’s about as close to a horror shooter as it gets on mobile. Distraint is one of the newer horror games. It features hand-drawn graphics and a simple premise. The controls are very simple and you should be able to learn them quickly. It doesn’t typically rely on classic horror elements like jump scares. Instead, it tries to creep you out with its story line. In fact, it bills itself as a psychological horror game. It’s a bit short and you should finish the game in a few hours. The Deluxe Edition is a bit more expensive than the normal version, but it includes a bunch of extra stuff. The Five Nights at Freddy’s titles are a series of highly popular horror games. They rely on the classic jump scare. Your job is to sit somewhere and keep an eye out for living robots. They are, of course, trying to kill you. You win the game if you can survive. There is also a healthy amount of lore and story. There are five games in total to play through. The mechanics vary between the games. However, the core premise remains the same. Each game is $2.99. Fran Bow is another series of horror games. Each game is a different chapter in the story line. Unlike many games that package the whole series in a single title, Fran Bow breaks the mold by making each chapter its own downloadable game. It’s a puzzle game where you must self-administer medication to go into an alternate world. The story line is excessively creepy. It’s a decent series overall. Each game in the series will run you $1.96. You’re halfway done! Here are some more excellent mobile games! HideAndSeek is a psychological thriller with an anime theme. You play as Dorothy and you fell asleep in a closet during a game of hide and seek. She doesn’t remember why she’s there when she wakes up and the house has entirely transformed into something different. You explore the area and regain memories as you go. It also uses puzzle, mystery, and adventure game elements as well. It’s a neat little experience, even if it’s an older horror game. Those with older Samsung devices may run into problems, though. Oxenfree is one of the newer horror games. It’s a thriller about a bunch of teenagers. They rip open a ghost rift and deal with the consequences. It features deep character interaction alongside the normal story line. The graphics aren’t much. However, the retro style does play well with the atmosphere of the game. IT runs for $4.99, but it has no in-app purchases. It’s also available on other platforms, like Nintendo Switch. That makes this an actual console game. 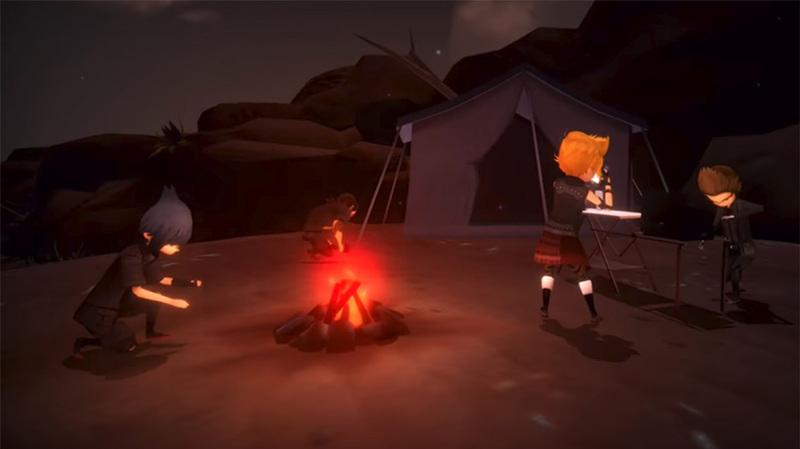 Slayaway Camp and Friday the 13th are two horror, puzzle, gore games from Blue Wizard Digital. They have very similar graphics and controls. You solve puzzles, kill things, and see lots and lots of blood. You do have to enable gore mode, though. Slayaway Camp includes 140 levels and Friday the 13th includes over 100. That should be more than enough to keep you going for a while. These are easily among the best mobile horror games ever made. Slayaway Camp costs a cool $2.99. Friday the 13th is free to download with in-app purchases up to $9.99. The Walking Dead is a series of horror games from Telltale Games. They are based on the popular comic book series and TV show of the same name. In each game, you’ll play through five episodes of story line and try to survive the zombie hoard, crazy people, and other obstacles. There are a total of four games in the franchise. They all have elements of adventure, puzzle, hidden object, and more. They can get delightfully creepy at times, but they’re mostly just entertaining. Each one will give you the first chapter of the game upon downloading. You’ll have to purchase the four remaining chapters in each game with in-app purchases. Thank you for reading! Check out some more excellent games! If we missed any great horror games on Android, tell us about them in the comments! Previous articleTest Code before Development (TDD).